When can I contact staff? Here you can keep up to date with all the exciting activities that the children have been taking part in at Water Mill Primary School. Today (11th March) the results of our votes for our new ‘House’ teams were announced. The vote was for our house teams to be named after birds of prey. So they will be Hawks, Falcons, Eagles and Kestrels. Each house will have a colour and we can all earn points for our houses by showing good behaviour, following our values, making good progress and for good work. On sports day we will all be in our teams and aiming to earn points so that our house wins the sports day cup. We can wear t shirts in our teams colours so that everyone can see which house we are in. All the staff are in houses as well so they can join in the fun. This Month (March) Mrs Rudd launched the 11 Before 11 Pledge. This is a pledge that all children will be given the opportunity to participate in at least eleven memorable experiences before they leave the school at age 11. Mrs Rudd asked us what memorable experiences we would like to do and from these the most popular eleven were chosen to be in the list, but of course there will be many more. These are some of the experiences we will take part in. Check the display in school to find out what the others are. Sleeping in a log cabin, making a discovery, solving a mystery, performing on stage and helping in our community. We all learnt a lot from our Chinese New Year celebrations. We came to school dressed in either traditional costumes or colours associated with the Chinese flag and spent the day learning all about China and their New Year. Some of our children come from China so they were able to help and give us ideas about what life is like there. 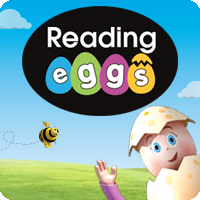 Thanks to all of the parents and family members who joined their children after school to find out all about our new Online Reading Programme – ‘Reading Eggs’. Click on the picture to login to your account. It had only been one term since the children in Year 4 began learning to play their brass instruments, however, along with some of the pros from Years 5 and 6, they were ready perform to the rest of the school and their parents. They all did a fantastic job, it’s so impressive just how much they have all come on in such a short time. We were also really proud to present Alejandro with a certificate and badge to celebrate him achieving his next grading on the trumpet. Congratulations all! We started our first week back to school with a bang when the pantomime came to visit. The children loved their rendition of Beauty and the Beast and can’t wait to develop the story ideas in their own writing.